Well I finished… Not without the help of Christine who I shared a grueling (Not strong enough description) last 4.5 miles. Maybe harrowing is a better description. 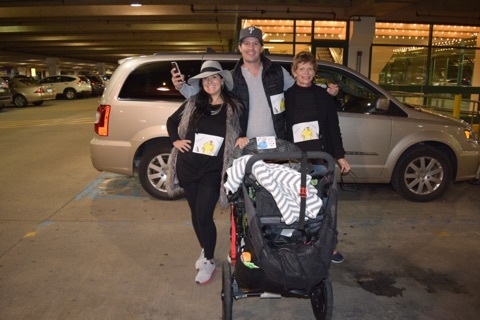 Michele, Christine and me at the finish…. My 1st reaction to my finish was mixed at best. This was my 1st marathon, so certainly emotions were running high. But my time was disappointing for sure (5:15). I had hoped for 4:30, was optimistic about 4:20 and would have been delighted with 4:45 – all of which, in the end, came and went. My training and prep were good. I am not going to second guess that. I put in the miles, the obligatory 3 -20 mile runs, all telling me that goal times were attainable, averaging approx. 40-45 miles per week during the last 6 weeks of training. My taper was good, if not a little crazy with anticipation. The week before I did yoga, even had a massage – ran easy 3 times for a total of 16 miles. I rested and ate healthy all week. Race day I drove to Scranton relaxed enjoying the turning foliage, picked up my BIB at the expo around 1pm and headed back to the hotel for another nap –(well rest anyway). 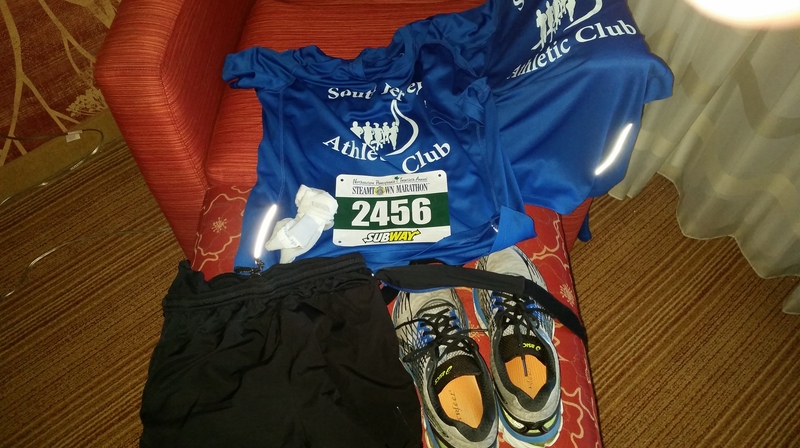 All my running gear was laid out and ready. I bought coffee the day before so I could NUKE it in the morning. I good size portion of instant oatmeal and am off. The race being point to point, we were bused from the finish to the start – approx. 45 minute ride. Our bus driver missed a turn so we spent a little more time driving around Forest City in the pitch dark then most. Plenty of porta jons and relatively short lines is always a luxury. 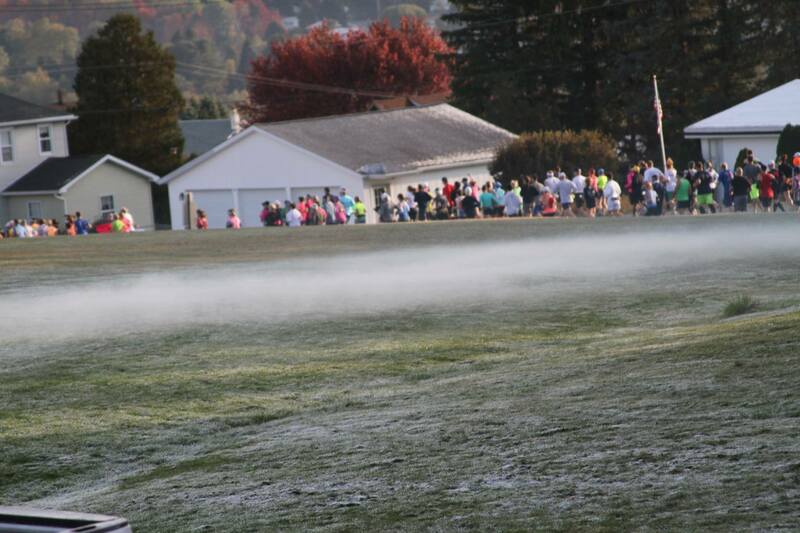 The starting line was at the local high school who opened their doors to the runners so they could stay warm prior to the start. 39 degrees with no noticeable wind, sun rising with a little bit of a miss on the adjacent fields met us at the starting line. The race was started literally with a BANG!. 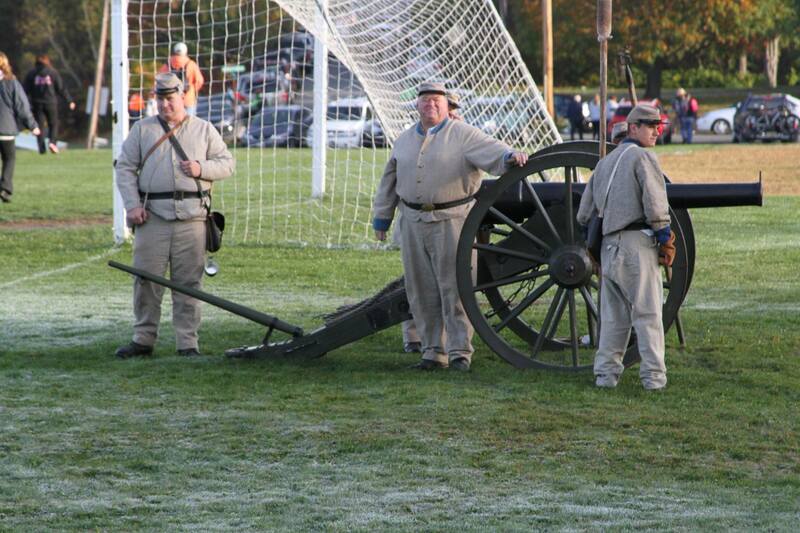 They fire off a civil war canyon. The pre-race emails warned us of this and it was fun to anticipate. What was very special to me was the church bells ringing in the little town we started in. It was wonderful! Ok, so everyone I spoke to and all that I read about the course said that you must go out slow. 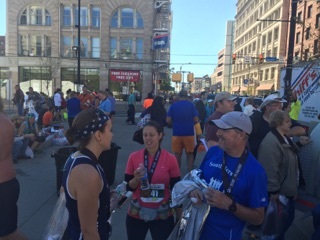 This is typical of any marathon – pace is the key – but with Steamtown, the 1st 8 plus miles are downhill. I mean, downnnnhill… So the emphasis of going out slow is even more important. I did this, averaging 10 to 10:15 miles for the 1st half. I have to say I felt good, felt in control and planning when I would let it all go. My long training runs had mirrored how I was feeling… Slow start and finish strong. Wishful thinking…Mile 17 “BONK”….. Wow, I could not believe it! I was completely depleted and struggling to maintain any kind of momentum. I was concerned I would not finish but determined to do everything I could to crawl across that finish line. Things did not get better – At Mile 20 I was periodically stopping and stretching. My QUADS were on fire. I’ve never experienced this much discomfort (Again..Not strong enough description). While trying to stretch out my legs, one of my fellow training partners (Christine) showed up. AHHH. Someone I can pace with! Maybe I can salvage a time after all. Just so happens that Christine was in the same predicament that I was. By (Desperation!) mile 22 we decided we would try to help each other finish together. SO with a Herculean effort and, I am proud to say, a whole lot of Courage, we were able to make it to the finish line together. I will always be eternally grateful for Christine’s company in those last few miles! They were all wearing these signs that Sue made – “Gran’s Fans”!!!! 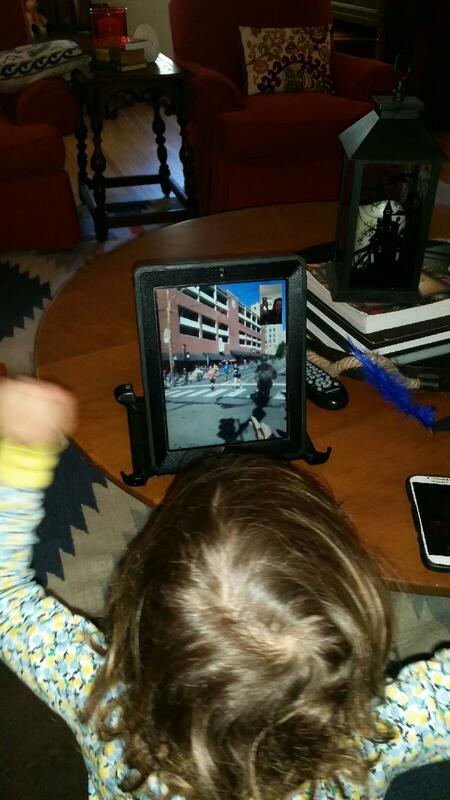 My Son FACETIMED /realtime my finish with my two other granddaughters back in NJ! Natalie!!! 6 weeks and already charming us..
Well I had mixed emotions about the race –initially it was the disappointing time of 5:15. I will not point to excuses but… I was not ready for the downhill severity of the course – It just destroyed my quadriceps. In the end, completing my 1st marathon and running for 5 hours and 15 minutes are two milestones at 66 years that I am proud of. After all, the world’s best runners finish in 2:08 minutes .. am proud to say I ran 2 ½ times longer!!! PS. 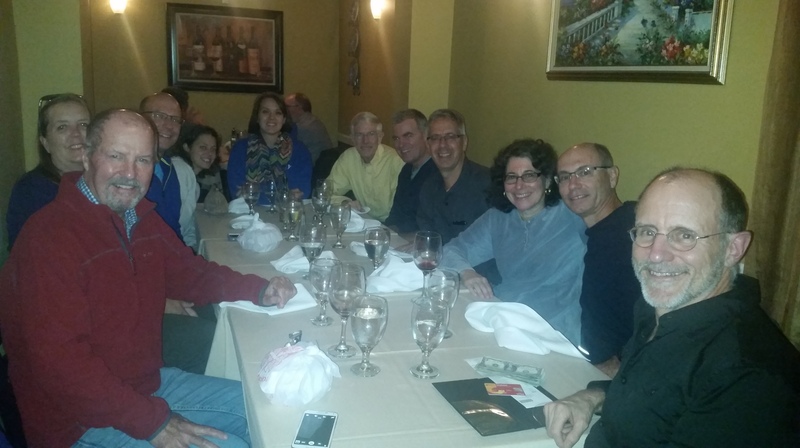 Steamtown Marathon organization is more then outstanding! The course is absolutely beautiful! The local support from the folks in the little towns we ran thru was as good as it gets!!! Thank YOU!! PPS. My Sunday morning training group was my enabler. I enjoyed the journey with them so very much! My revenge is in my head as I write this and know I can count on them for their support. 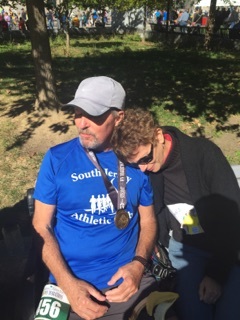 PPPS… Thank you Sue for all the love, support and understanding that only a runner’s wife understands…my true partner in everything. 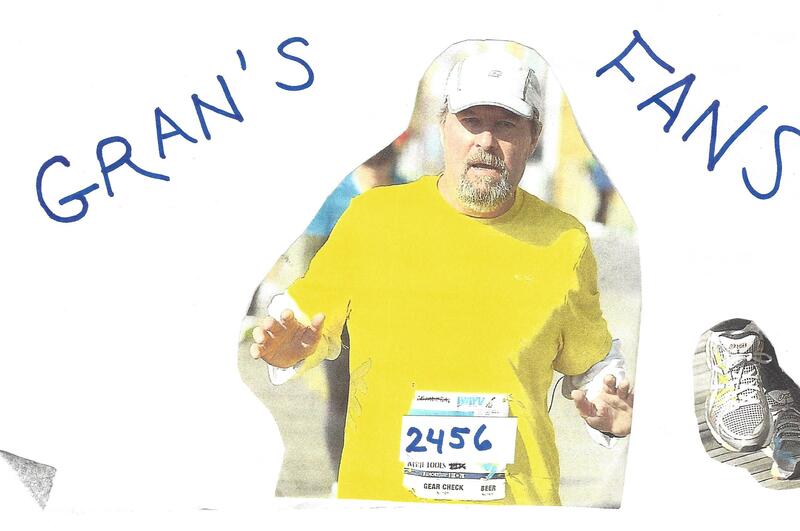 This entry was posted in Running and tagged running, steamtown, steamtown marathon. Bookmark the permalink. This was certainly a challenging course. I felt mentally and physically prepared for all the downhills, as that is all everyone talks about, along with the couple of killer hills in the last 2 miles; however, what no one mentioned was how many UP-hills there were during the first 20+ miles of the race. I believe those are what got to me more. All that being said, I agree with you that it was an extremely well organized race, and the people of all of the towns we encountered, from the cheerleaders in Forest City, to the residents of all the small boroughs cheering us from their front porches, to the people of Scranton partying and screaming us into the finish line, were all amazing! I don’t know if I’ll do this race again, but I’d certainly be willing. I believe with the proper training, I could do better. Thanks little sister!! Love ya!! After this first marathon experience on a tough course, you will be more than ready for a less demanding course. Thanks Marylou! Tame compared to your recent ultra! Cheers! A canon for a start signal? Wow. That’s a little over the top. Great race report. You did great. Agreed. Steamtown is a great marathon. Great course, great race team that gets the entire community involved. I first ran it when my daughter was going to the University of Scranton and went back many times since. Congrats, and nice wrap.